Robert P. Zammit is a full-service residential and commercial contractor and home builder, with 30 years of experience building exclusively in Tucson, Arizona. Providing excellence as a residential and commercial contractor with Valley Development Corp. and having built over 150 homes with Skyline Homes, we have the knowledge and expertise to insure a successful project. Our philosophy is to approach home building as a service rather than a product. This emphasis allows us to familiarize the owner with the elements that make up the character of the home, thereby minimizing surprises, and producing high satisfaction with the results. And, we can gear this process to the time constraints of the owner. Feel free to set up an initial visit and see what we have to offer. We are looking forward to the opportunity to work with you! 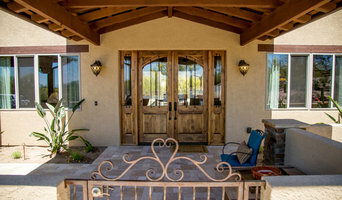 Pierce Homes has 39+ years of service in southern Arizona and has built over 600 homes in Green Valley and Tubac area. Our home construction is not confined to our subdivisions, we have built many fine homes stretching from Pinetop, Oro Valley, Catalina, Tucson, Vail, Amado, and Tubac, AZ. Pierce Homes is owned by Tony and Rhonda Freeland. Tony is a native Arizonian who is a third generation builder. Rhonda has her degree in Business, from the University of Arizona, and is a Designer and a Licensed Realtor. Together they have the right combination of knowledge, skill and dedication necessary to start Pierce Homes in 1977 and develop it into what many say is the best quality home builder of Green Valley, Sahuarita and Tubac. Family Owned and Operated means that the owners are available to you, and on the job-site. We are “hands-on”, working on your home, assisting you with your design selections, meeting with you to perform walk-through inspections, here to answer your questions. We watch over every home we build to maintain the quality in which our reputation has been built on and to provide the attention you deserve. Our high customer satisfaction does not happen by accident. Quality of construction, integrity and attention to detail are just several of the items that set us apart from other builders. If you are looking to remodel or build your luxury custom home, give us a call today at (520) 447-3024 or click the "Contact Me" button to send us a message. We look forward to working with you! Serving Tucson and Southern Arizona for over 27 years! We are a second generation, locally owned business that focuses on creating a design around what the homeowner really wants in their kitchen, bath or other space in the home. Our projects include custom and semi-custom cabinetry, great design, space planning, countertops, remodeling, new construction, tile and backsplash design. 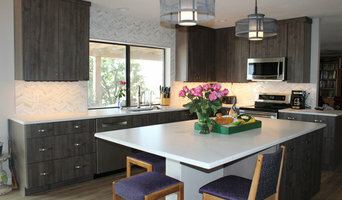 Specializing in kitchens, bathrooms we provide cabinetry and design for any space in your home. Our designers all pride themselves in helping homeowners with smart interior design for their home improvement projects. 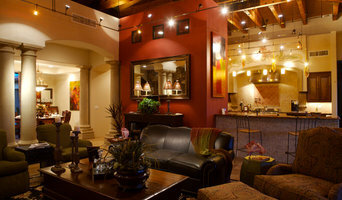 At Sonoran Design Group, custom designing is truly a pleasure. The unique environment of the sonoran desert provides many challenges and opportunities. We offer our proud heritage of capturing the charm and flexibility of the southwest desert. I've had my own firm for over 30 years. 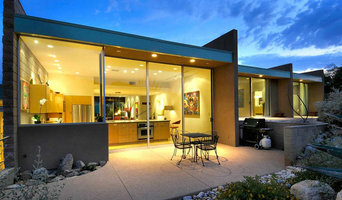 I specialize in renovating, remodeling and adding on to historic Tucson homes. Having lived in Arizona all my life, I have a deep appreciation for the desert’s natural beauty. One of my design goals is to build structures that truly belong in their surroundings. I like the use of traditional, earthy materials juxtaposing them with glass and exposed structural elements in a contemporary way. I also enjoy the use of expanses of protected glass and continuous flooring materials, indoors and outdoors, to allow indoor spaces to flow seamlessly into the surrounding desert. One of my strengths as an architect is responding to elements present at a building site, whether they be neighboring structures, rock outcroppings, wash areas or large, native vegetation. I have a passion for accounting for these elements in my designs and prefer to design structures on challenging sites.